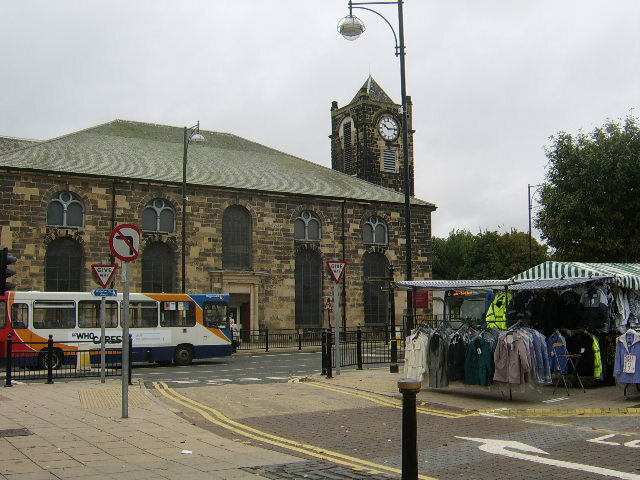 It's a couple of years since I joined the Silver Singers in South Shields for their Wednesday morning session in the beautiful old church of St. Hilda on the edge of the market square, which has a history dating back to Anglo-Saxon times. I wasn't sure I could sing but I knew I wanted to join an activity that peaked my interest and got me out of the house now that I'm no longer working. I've always loved music, listening to it, dancing to it and, yes singing along to it too. As a kid, we would dance around the sitting room to Elvis Presley, Cliff Richard and other stars of that era, but we also listened to jazz, Country, Glenn Miller's big band and, occasionally, some classical stuff too, so I like to think I've got quite an eclectic taste in music. Then we hit the 1970s and artists such as Rod Stewart, Elton John, Queen and Abba were the order of the day. Who wouldn't be uplifted by all the wonderful music I grew up with! So you get to a point where your kids have left home and you may have retired but you still want to sing and enjoy life and the Silver Singers goes some way towards helping you do that. The Silver Programme is an outreach project under the umbrella organisation of the North East's premier music venue, The Sage Gateshead, which is situated on the south bank of the River Tyne. The programme offers many opportunities to access music at almost any level with various groups such as Silver Divas and the Silver Chorus (choral singers) as well as Gospel and the chance to learn or play musical instruments, from steel bands to African drumming, guitar and piano from beginners level upwards. Many of the sessions are held at the Sage building in Gateshead, while other activities take place at Gateshead Old Town Hall, a few minutes walk from the Metro Interchange in Gateshead town centre. Fees vary between courses so check out the website for further information. The Silver programme is aimed at people aged over 50 (although many in my group are in their 60s and 70s) as a means of helping people in the autumn of their years to integrate and enjoy musical activities and there is range of expert tutors on hand to help us get the most out of our sessions. Choirs and music sessions are held at a number of venues across the North East in a bid to make them as accessible as possible. I'm visually impaired, so it isn't always easy to follow the sheet music but I decided to persevere and our wonderful tutor Sofia ensures that the class get the most out of each session regardless of ability. Originally from Portugal, Sofia is an accomplished singer and musician, and has the patience of a saint. I went along with my friend and we soon found plenty of like minded people to have a cuppa and a chat with. As time went on I began to get the hang of it. Usually the songs are arranged for 3 voices. soprano, alto and base or tops, middles and thirds as we are sometimes called. Then we learn breathing exercises and how to move our lips and tongue to make various sounds. Often we have tongue-twisters and little games to test co-ordination, most of which leaves us laughing and lightens the mood. Eventually we get to sing the songs Sofia has provided for us and we practise our parts, breaking it down into smaller chunks then building it up again. We sound so much better than I ever thought I could within a group of people. Most recently we have been learning Christmas carols, including a Ukrainian song 'The Carol of the Bells'; which is more well known than you would imagine. A couple of times a year we have the 'Big Sing' at the Sage where groups from all over the North East get together and sing in our hundreds. And with the wonderful acoustics of the Sage building the result is quite impressive. I sing Alto, which is a middle range voice (decidedly average if you ask me) and there is no audition if you want to join. We've even been asked to sing publicly at church halls once or twice. We generally sing songs that people of our age group would know such as Abba, Buddy Holly, Christmas carols, traditional Tyneside songs and so on, but we're also encouraged to sing little tunes from other languages and cultures such as French, Portuguese and Maori and it's great to mix it up. Some of the group can read music (we even have retired music teacher among us) but about two-thirds don't. It's a very liberating experience and we actually create some really nice sounds – once we've learned the words. Which just goes to show that even if you all sing from the same song sheet, you can still have a voice. 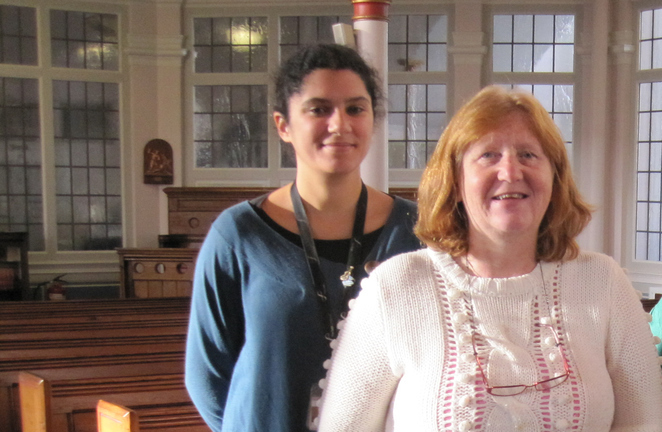 The Silver Singers at South Shields meet at St. Hilda's Church in the Market Place on Wednesday mornings from 10.45 am - 12.15 pm and sessions cost £4. There is a tea/coffee bar serving drinks for a small donation, so get there 15-20 minutes early if you want a bit of a natter before we get started. The parish church of St. Hilda's is an Anglican church that serves its local community in South Shields and is open for religious worship on Sundays and other times throughout the year, it also has a visitor centre which is operated on a 'drop-in' basis by volunteers on Mondays and Saturdays from 10am-3pm.